Yamaha 04 Gen: A scooter or a flying bird? The name, Yamaha, relates closely to the world of motorcycles. With path-breaking technology and flawless designs, Yamaha is leading in almost every motorcycle segment. The manufacturer is popular for light and rigid motorcycles. Yamaha is working on the newest project - the Yamaha 04 gen. Recently in Vietnam motorcycle show, Yamaha showcased a new concept scooter called Yamaha 04 Gen. This scooter is a homogeneous mixture of historic design and modern technology. The design aesthetics typically follow the latest concept introduced by Toyota. With 04 gen, Yamaha laid an example of how elegantly can one manifest the transparency. In this concept design, instead of hiding frame structure, the designers covered it by a semi-transparent cover which opens like a wing of an insect. The entire design follows a flow pattern where the designers craft every part and mold it into one another. Thus, it appears as if it comes from only one sheet of metal. Specifications of this scooter are yet to be disclosed however, it is believed that Yamaha 04 Gen employs an IC Engine. While the exhaust system seen in the photograph further bolsters this claim. The exterior fundamentally represents a recurring design pattern found in a swan. This typical mix of exterior and interior forms a rare design, imitating a flying insect at its heart. 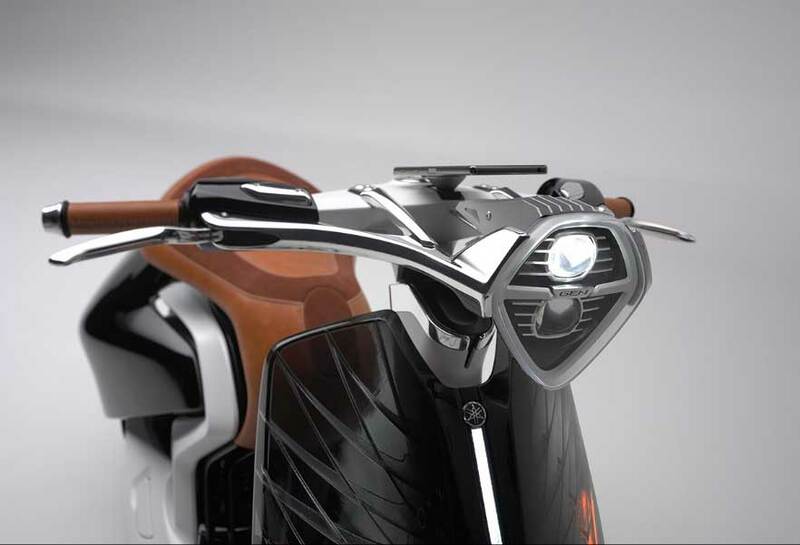 In addition, RUNWAY signifies three words, namely - revolutionary, unique and noble and the Yamaha 04 Gen concept scooter has all the three! The front side of this scooter is even more interesting! 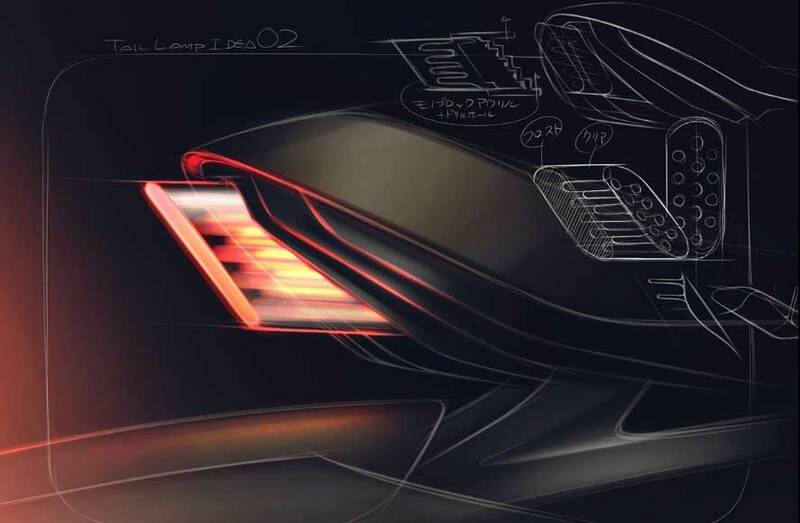 Trapezoidal frame and headlamp positioning mark the zenith of creativity. The colors of graphical user interface look stunning and further improve the appeal of the handlebar. At this time, it is difficult to predict when such designs will start the production. However, undoubtedly, the entire auto-environment gets a lively feel because of them! 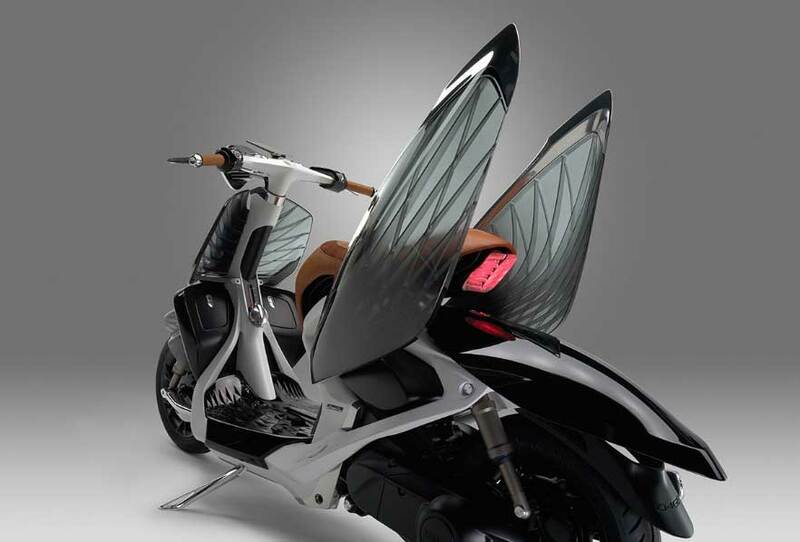 Home » Articles » Yamaha 04 Gen: A scooter or a flying bird?